New Delhi: Demonstrating the commitment to wellbeing of employees, Panasonic India announced the roll-out of an employee program designed to place wellbeing at the core of the business. The aim of the wellbeing program is to foster overall development of the employees and maximise their true potential by improving the quality of their work life by adopting wellness strategies. The wellness program envisions a social equitable environment that binds all employees to learn, live and achieve together in the company. The program marks the beginning of a comprehensive health and productivity initiatives that will address important issues like the emotional and mental health of the workforce, their social connectivity, intellectual capability and sense of fulfilment on the job, among other aspects. We have been experiencing exponential growth over the last few years and it’s extremely important to make sure that our employees are well equipped to deal with this growth. The Vibrant Panasonic program will assist the employees in tackling elements such as mental and emotional health, social connectivity and sense of fulfillment on the job. Further, it will assist employees in realizing their individual characteristics which in-turn will enhance their overall development”, said Mr Adarsh Mishra, CHRO Panasonic India. To take a note on the holistic prosperity of its employees, Panasonic India in association with Human Capital Services conducted an internal survey of over 700 employees on the dimensions of wellness. Basis the survey findings, the company designed a new employee engagement program aligned to create a positive impact on employees’ wellness and contribute to their overall development. The innovative engagement activities will promote holistic wellbeing including physical fitness, healthy eating and mental wellness. The initiatives will be introduced as a part of second phase of the ‘Vibrant Panasonic’, a HR program that was first launched in 2014. The aim of this initiative was to not only create performance oriented culture that binds all the employees together but also to build an engaged and committed work force and provide employees with a platform where ideas, thoughts and feedback are expressed freely. 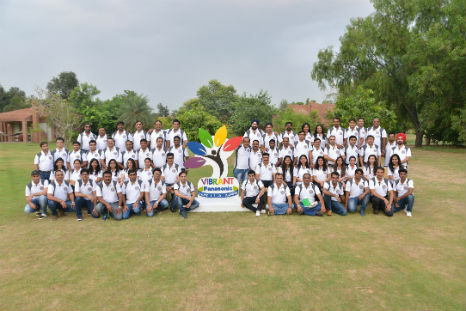 The next phase of the Vibrant Panasonic program widens the program’s focus from enabling employee engagement to holistic employee development. Workplace wellbeing programs not only have a positive impact on employees, they can also lead to a significant increase in team’s engagement, cohesiveness and overall productivity. With this latest initiative, Panasonic India wants to celebrate a culture that encourages employees to become the best versions of themselves and drive success, for themselves and for the organization.